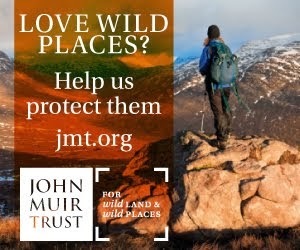 In a few days I'm off on a long walk in California. If all goes to plan I'll be going from Yosemite Valley through the High Sierra to Death Valley picking up a few peaks along the way. 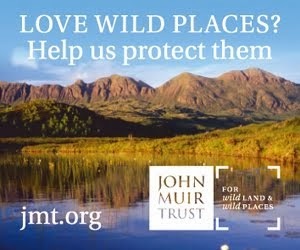 The High Sierra is one of my favourite places and this'll be my first visit in fourteen years, which is far too long to stay away. I've been there in spring and summer before but never in autumn. I've never been to Death Valley before nor the mountain ranges surrounding it. I'm hoping to climb the highest summit 11,049 feet (3,367 m) Telescope Peak in the Panamint Range before descending to Badwater in Death Valley itself at -282 feet )-86m). I've wanted to visit the Panamints and Death Valley ever since reading Colin Fletcher's account of crossing the area in his wonderful book The Thousand-Mile Summer many years ago. By going in autumn I'm hoping to avoid the first winter snow in the High Sierra and also the summer heat in Death Valley. 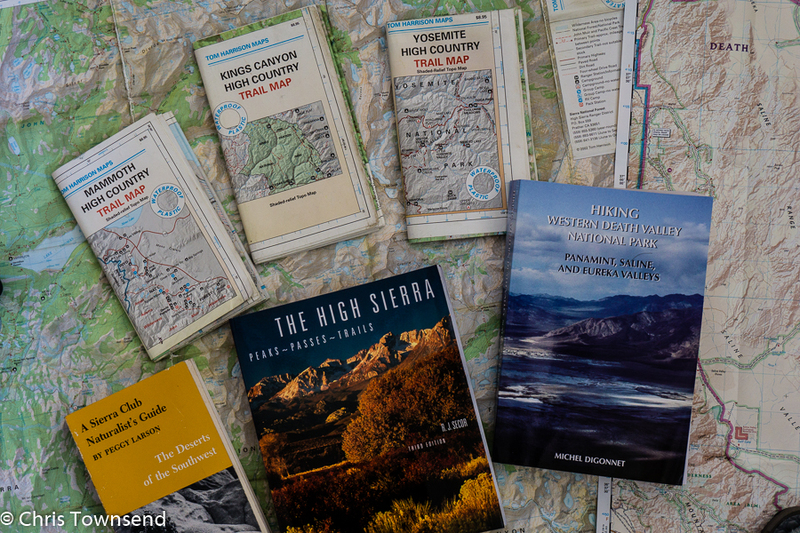 My route across the High Sierra has been planned with the excellent Tom Harrison Maps and R.J.Secor's comprehensive book The High Sierra Peaks-Passes- Trails, which I'll have with me as an e-book, plus knowledge from my previous trips. Once I leave the High Sierra I'll follow in reverse Brett Tucker's Lowest to Highest route. 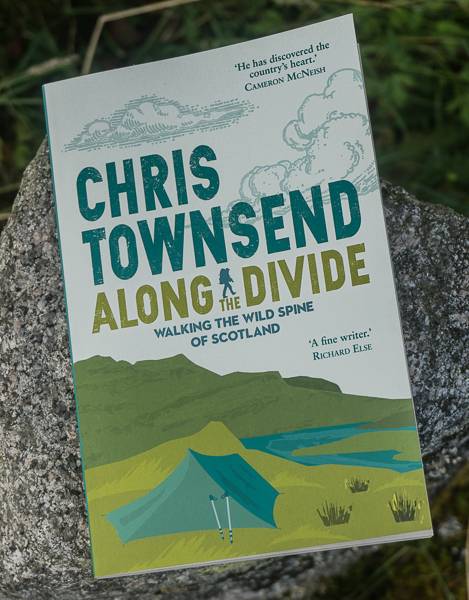 One aspect of the walk I'm particularly looking forward to is sleeping under the stars, something I rarely do in Scotland, especially in summer when the midges are biting. 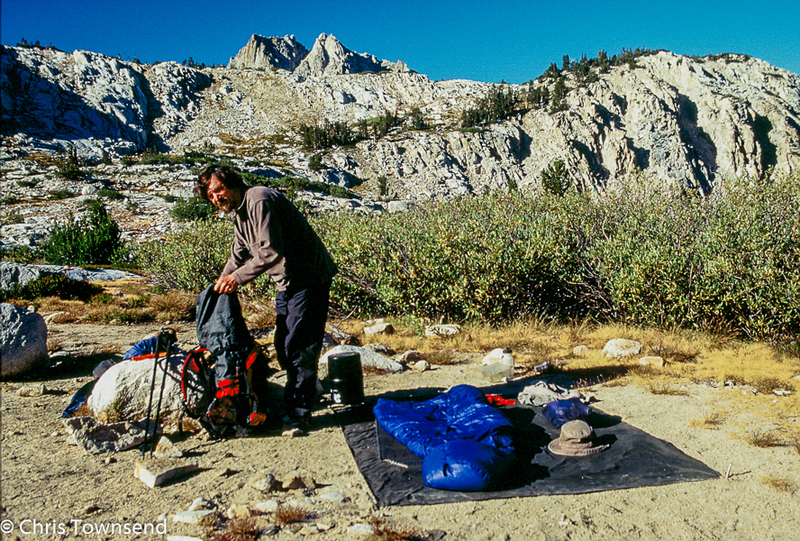 I'm hoping for camp sites like the one in this picture, taken on a 500-mile circular route in the High Sierra back in 2002. I'll be posting updates and pictures here and on Twitter, Facebook and Instagram when I can get a connection. Have a great trip Chris and don't forget your whistle! Sounds great. I'm off myself to the same area, starting from Mammoth on Oct 2.Great area this time of the year. Sounds fantastic. Have a goodun. Looking forwards to reading about it. Have a great trip. Fabulous Chris, what a tremendous journey. That Sierra environment is one of my favourite places on Earth; the desert… another terrific place, but give me that cool dry mountain air any day! Telescope peak, followed by the low point is interesting. I remember going from snow to 100F. Great to have you back in the States soon and following some of the path of the Thousand Mile Summer. Still a great read all these years later. I hope this will turn into a future book from you as well!